Today was a busy day! 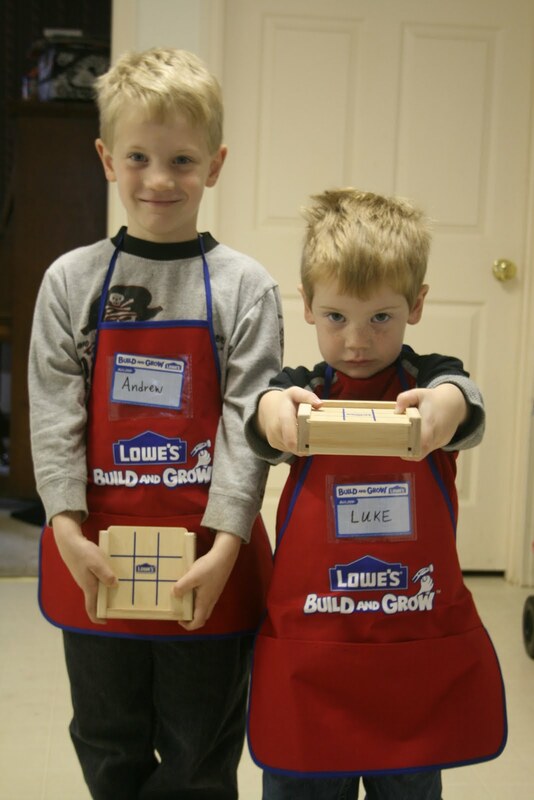 First, Mitch took the boys to Lowe’s for the Build & Grow workshop (we’ve only attended Home Depot’s workshops in the past) where they made a Tic-Tac-Toe game by hammering the box ends together to form a casing for the game pieces. 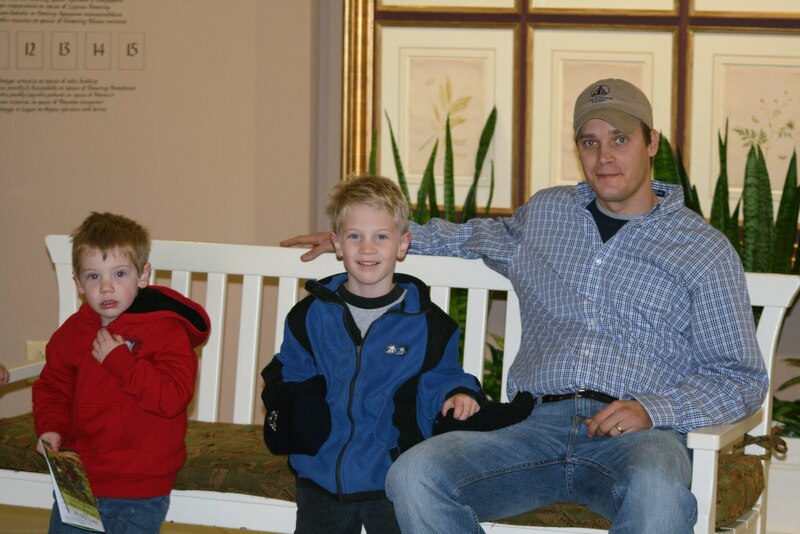 I think the boys really enjoy this hammer pounding each month but I think the biggest highlight of that time is getting to be with their Daddy. I know Luke looks angry (?) and/or sad (?) in this picture….can’t tell you why. He’s never been fond of the camera. Following the time of heavy construction, our family drove 30 miles north to meet up with my brother and sister-in-law at Callaway Gardens (admission is free through the end of February) where we had a picnic, walked Einstein (their dog), fed ducks, and visited the Butterfly Center. It was far colder than what we expected so we didn’t stay at the gardens for long. 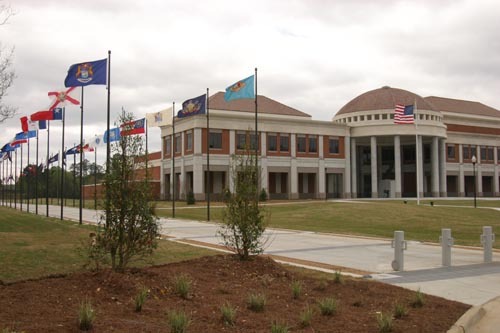 Next, I took my brother and SIL to The National Infantry Museum that’s located in our town (where admission is ALWAYS free!). I’ve been to this museum four times and I must say that I enjoy it more and more each time I visit. I’ve still not read every plaque on the wall or caption under every photo but it was neat to be there with my brother, a former Marine (I know that different than Army, ok?) because I knew he would have a true sense of appreciation for the sacrifice military men make. My beautiful sister-in-law is pregnant and I suspect she played the role of “good sport” today since she NEVER complained of nausea or dizziness. I had a feeling, though, that she didn’t feel so swell as we walked the garden paths and museum hallways. Thanks, Kristi, for loving me, loving my children, loving my brother, and loving your extended family! I’m so thankful for you and for the time we shared today. I’m so glad y’all drove down, ate steak with us, brought Einstein, and took that leather recliner out of our garage! I cant think of a better way that I would have spent my day! It was truly wonderful to spend the day with all of you. I love you!